Inspiron 17R(eloaded). Dell's Inspiron 17 has already been available for a while and probably belongs to the American manufacturer's top sellers. Now there is a refresh available, called Inspiron 17R, which can be individually configured as typical for Dell - starting with the color up to hardware configuration. Our 17.3 inch sized test device is equipped with a Core i5 430M processor that has two cores, both clocked with 2.27 GHz each. Additionally, an ATI Mobility GPU, type Radeon HD 5470 (1024 MB dedicated GDDR3 graphics memory) is used, which rounds off the system as a starter midrange graphic card. 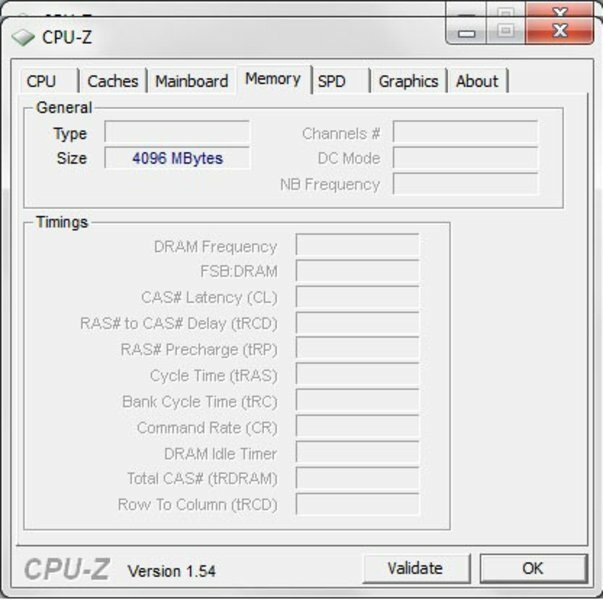 There is also a total of four GB DDR3 RAM and a 500 MB sized hard disk, which should provide enough capacity to start with. 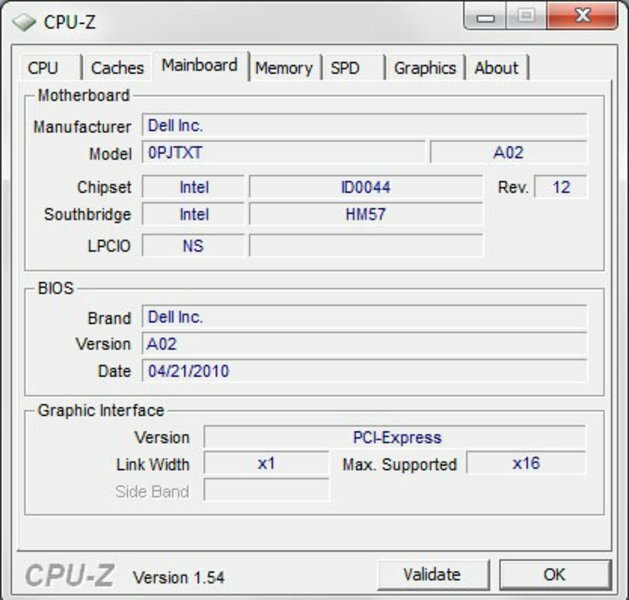 Microsoft's Windows 7 Home Premium in its 64 bit version is installed as the operating system. Sections that are strongly dependent on the used hardware, such as performance, emissions and battery life, aren't necessarily true for differently equipped models. The case is an eye catcher in any event. At least, our model at hand, with a red display lid with a high gloss finish is. 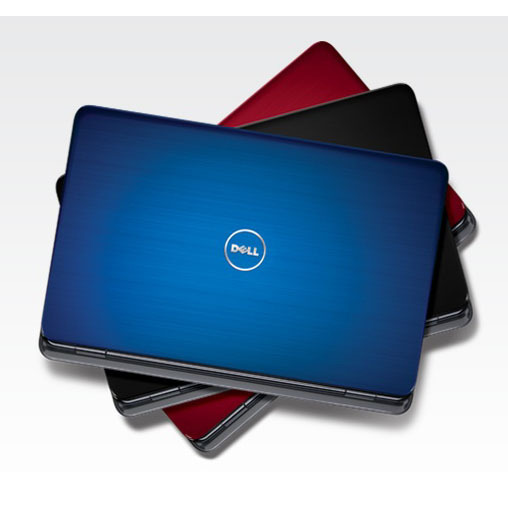 However, the Inspiron 17R will also be available in other colors so that every potential buyer will hopefully find a suiting finish. If you look at the US site, the Inspiron 17R is available in three colors to date. Dell calls these Mars Black, Tomato Red and Peacock Blue. The Mars Black cover will likely adorn the Inspiron 17R ex-factory, which will be launched on June 24th. If you'd like to have your Inspiron 17R in Tomato Red or Peacock Blue, you'll be charged with $40.00 extra, according to the US site. However, the customers in Germany may look forward to picking a color without a surcharge at the moment. 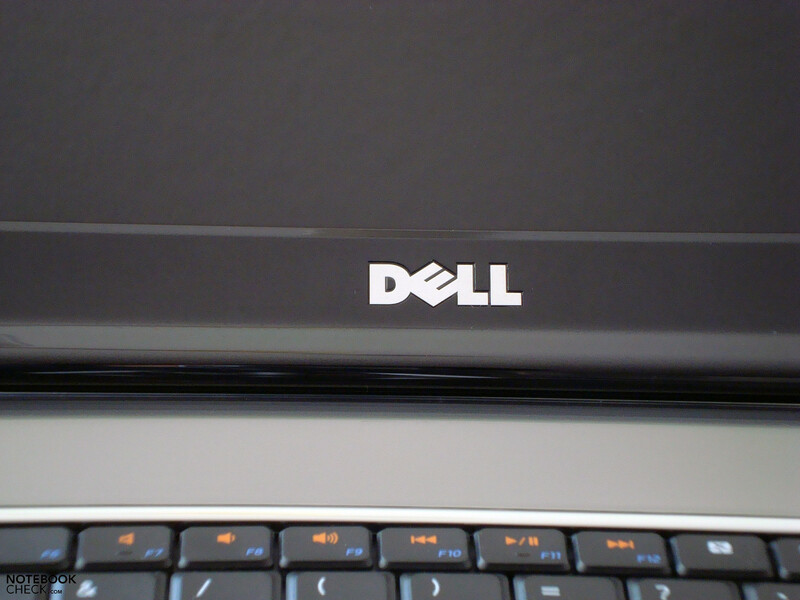 Dell's well-known logo has been placed on the display's back center. The position of both hinges is another striking feature, as they have been positioned slightly towards the front so that the base unit's rear part protrudes a bit when closed. 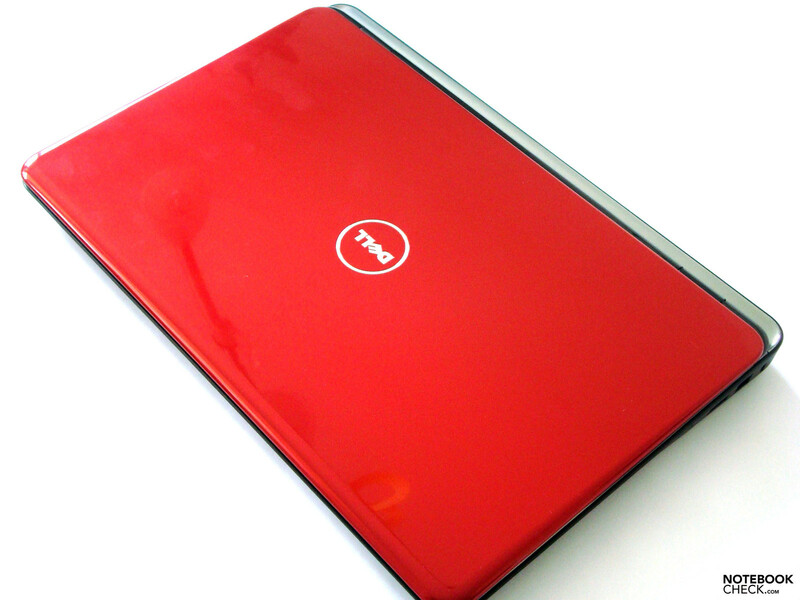 The Inspiron 17R, with its 17.3 inch display, does quite well without a complicated closing mechanism. Opening and closing is easy, without either hinge emitting audible noise. The display is kept sufficiently in position after a slight teetering. There's not much to complain about in terms of stability. Especially, the wrist-rest and the area around the keyboard appear to be very resistant against selective pressure. This is partly due to the chrome component into which the keyboard has been submerged. The rest of the case is made of plastic and also makes a quite solid impression so that a lopsided picking up is possible, despite the size of 17.3 inches and a weight of 3.1 kilograms. All surfaces are rather glossy, with exception of the touchpad. The wrist-rest has been treated to a brushed silver finish, which reduces visible fingerprints on its surface considerably - contrarily to the display lid's very sensitive, red, high-gloss surface also in a brushed look. 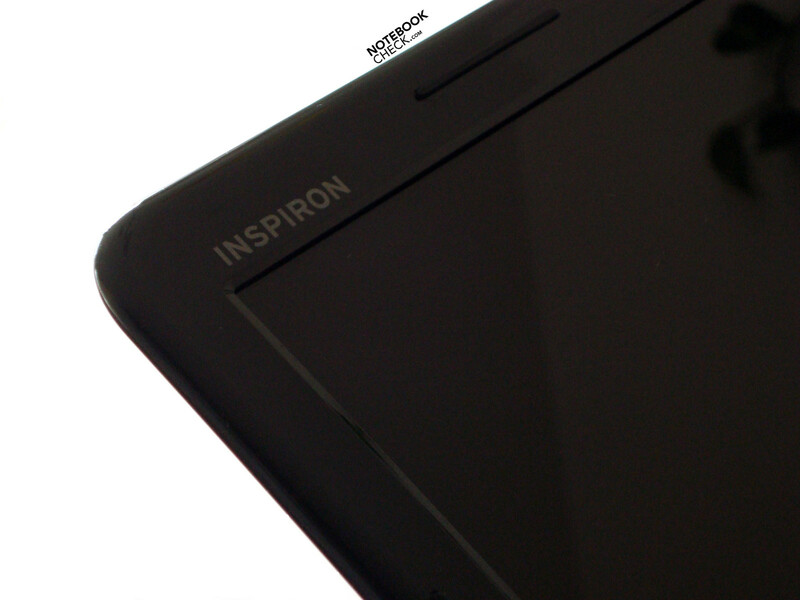 If you look for loudspeakers on the upper side, you'll be looking in vain on the Inspiron 17 because they have been placed on the case's lower front area. 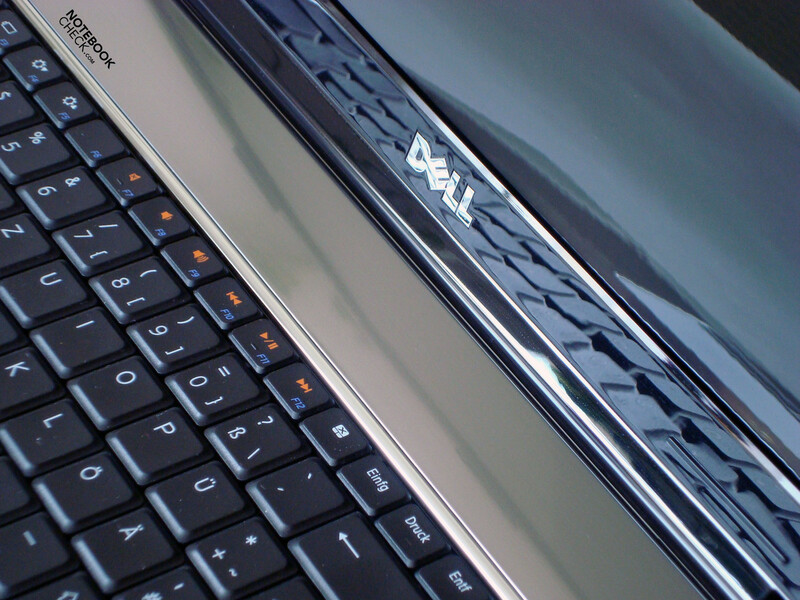 If you want to equip your Inspiron 17R with more RAM, you'll only need a bit of intuition and a suitable screw driver. By removing the cover, which is only fastened with one screw, you can access the RAM components quite easily. In terms of connectivity, the most important ports are onboard. However, we do miss an ExpressCard slot, for example. We can't complain about the distribution of the existing interfaces. They have been distributed feasibly over three sides. Thus, we find a USB 2.0 port, the vent, audio input and output, a HDMI port and a cardreader on the left. 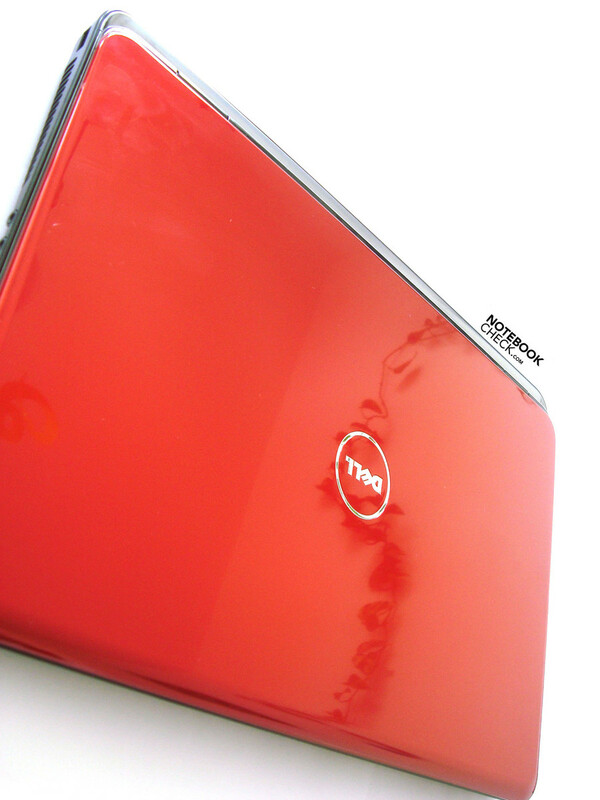 Most of the Inspiron 17R's rear is occupied by the mobile power donor. Nevertheless, the rear still has enough place for the power socket, a further USB 2.0 port, an analog VGA out and the third USB 2.0 port. The optical drive, followed by a USB and eSATA combo port, the RJ-45 network socket and the Kensington lock, is found on the right side. The front remains unfettered from interfaces. The Inspiron 17R has three options available for communicating with other devices or the internet: the classical LAN port (Atheros AR8152 PCI-E Fast Ethernet Controller), a WLAN module (Broadcom Virtual Wireless adapter) and Bluetooth. The webcam integrated in the display, with its array microphone allowing for uncomplicated video telephony via Skype and similar programs, is also of assistance in communication matters. We liked the built-in keyboard already at first sight. It even made a good impression at a closer look and in practical use. 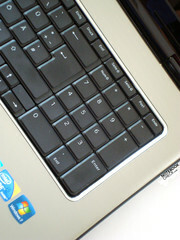 The pressure point is very distinct and gives a very comfortable feeling while typing. As it's appropriate for a 17.3 inch notebook, a full sized number pad is onboard. 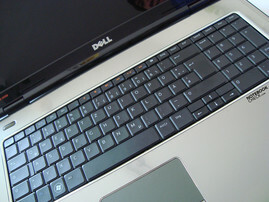 The manufacturer, Dell, has waived on a multimedia bar and has implemented it into the keyboard. 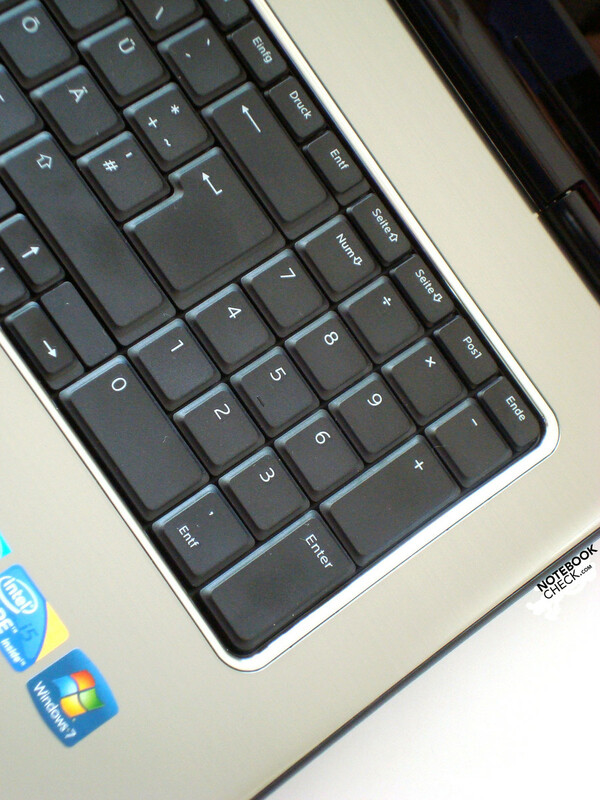 Thus, the F7 to F12 keys have been strikingly marked in an outstanding color with the correlating multimedia icons. Just as striking: the F-key's small lettering has been placed in the right corner. 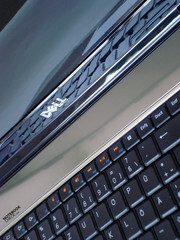 Dell has given priority to the notebook control keys for brightness, touchpad, display or multimedia keys. Viz. no FN key combination has to be used to, for example, reduce brightness or turn on the WLAN module, as it is the case in most other notebooks. That's only necessary if you actually need the F-key commands, like e.g. help with F1 or the renaming of a file with the F2 key. We admit that this is a bit awkward in the beginning, but you come to appreciate this modification quickly. Even the touchpad does its work mainly quite well and precisely. The smooth surface feels nice and distinguishes itself from the brushed aluminum wrist-rest with a dark gray. Otherwise, the touchpad works very accurately and also responds very well to our gestures, such as zooming in and out, scrolling or rotating pictures, etc. 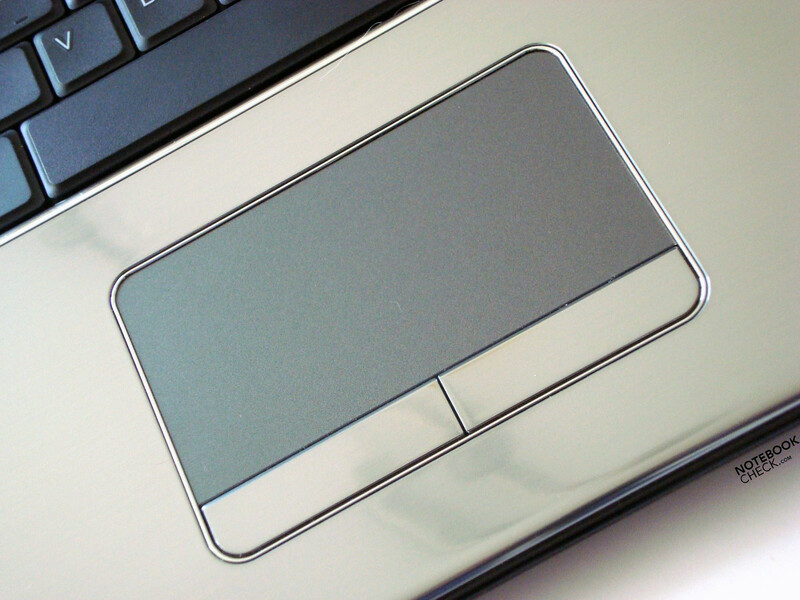 Both mouse keys are also made of chrome, like the wrist-rest and do their work to our satisfaction. 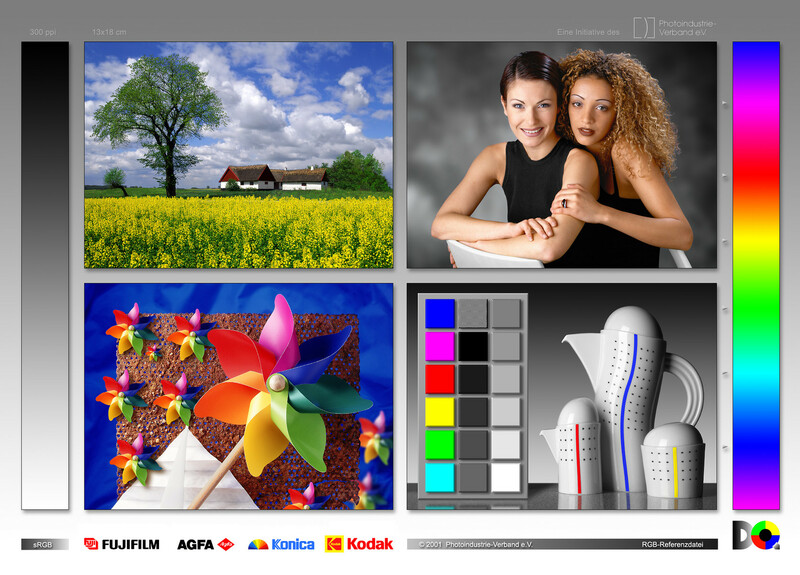 The utilized display especially stands out with its very good display brightness, which it revealed in our measurements. The Inspiron 17 refresh has a good position with an average display brightness of 294.44 cd/m2. Merely the display's illumination could be a bit more balanced, in our opinion. The display illumination's imbalance isn't noticeable in practical use, though. The supplied image quality is just as good, as it provides full and rich colors due to the glare type display (17.3" HD+ (1600 x 900) WLED display with TrueLife). The Inspiron 17R is well equipped with a native resolution of 1600x900, but a display with a higher resolution wouldn't have hurt, especially in times of BluRay and FullHD. The main point of critique is the high black value of 1.34 cd/m2. Dark, black movie scenes make a rather dark gray impression due to that. In the one or other movie the black weakness is quite obviously noticeable and thus a bit of the atmosphere is lost. The glossy display considerably hampers an outdoor use, but it's not completely impossible due to the good display brightness. But only in shadowy places since the display doesn't have a chance in direct sunlight, despite its good brightness the displayed image suffers under massive reflections. On the issue of viewing angles, the horizontal viewing angles are quite generous, but the vertical plane looks very different. Unfortunately, contrast deviations already turn up at a slight change in the opened display or the seating height. 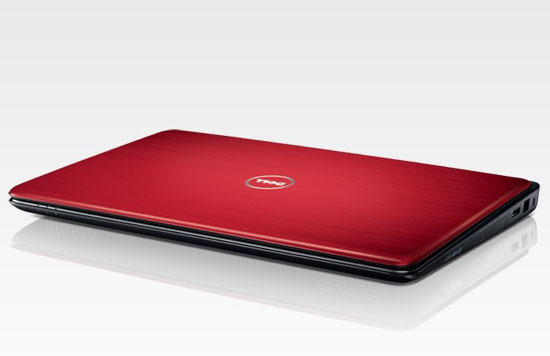 In the Inspiron 17 refresh, Dell has equipped the Inspiron 17R with Intel's newest CPU generation. 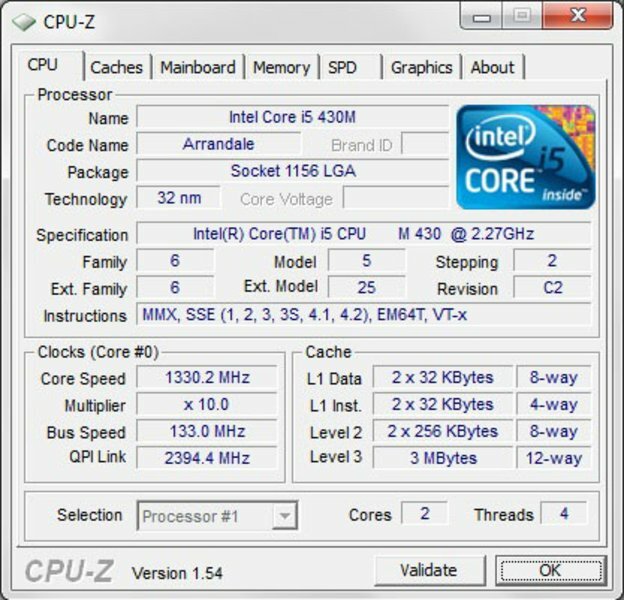 This is the Core i processors. Our test device is equipped with a Core i5 430M, which has two cores that do their work with a clock rate of 2.27 GHz. These two core are able to manage up to four threads simultaneously due to HT (Hyper Threading). The Core i5 430M also has the Turbo Boost feature, which can shut down unused cores to save energy and automatically lift the core rate up to 2.53 GHz when additional performance is needed at the same time. 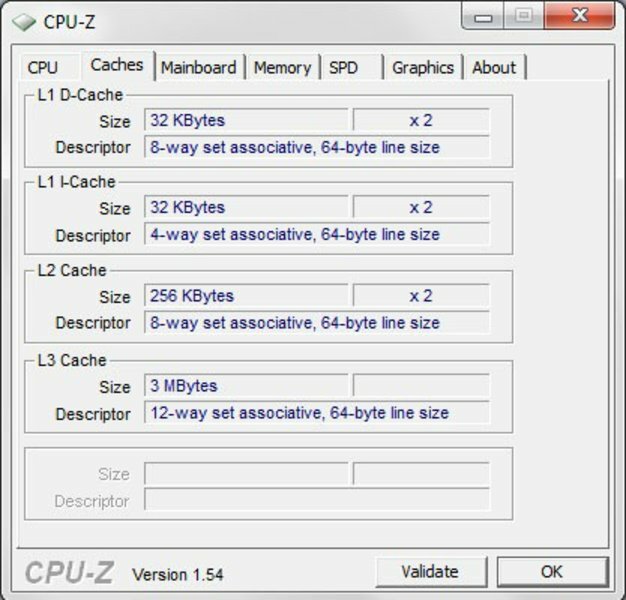 Thus, the CPU supplies more than enough computing power to manage daily tasks comfortably and with reserves. The benchmark assessments that we made with Cinebench R10 and PCMark Vantage confirm this also. Thus, the Inspiron 17R achieved a rating of a reasonable 4884 (5754 points) in PCMark Vantage 32 bits (respectively 64 bits). 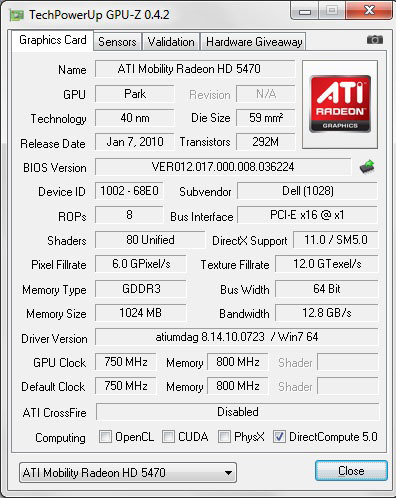 There is also an ATI Mobility Radeon HD 5470 with a 1024 MB GDDR3 memory onboard, tethered to only 64 bits. The Inspiron 17R has enough computing performance to display more current games smoothly with this starter midrange graphic card, with losses in terms of resolution and graphic details. However, the built-in GPU is too weak for high-end gaming in full graphic beauty and resolution. This chip is also capable of DirectX 11 and is manufactured in a 40nm process, which is beneficial for the TDP (Thermal Design Power) and ultimately for the battery life, too. Dell has built-in a 500 GB sized Scorpio Blue hard disk from Western Digital (WD5000BEVT) as the mass memory unit, which does its job with 5400 revolutions in the Inspiron 17R at hand. 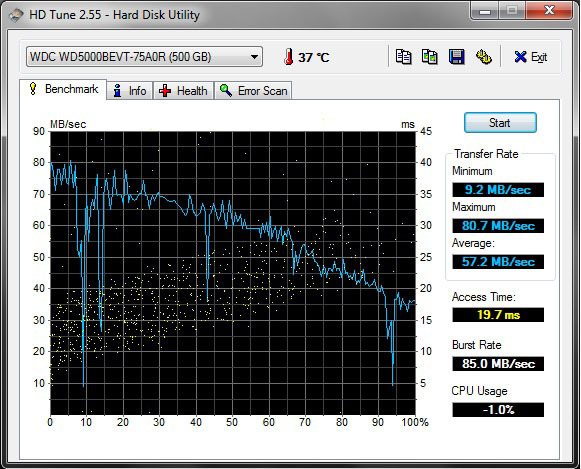 According to HDTune, its rates are within a green field. If this is too little, you can help yourself with external hard disks due to the USB and eSATA port(s) or order a bigger/faster hard disk to start with. As already mentioned above, the Inspiron 17R's gaming capacities are a bit limited, despite the use of the latest technologies. Not least by the built-in midrange GPU from ATI, which simply has too little performance reserves to render high resolution images with high graphic details. The Inspiron 17R range hadn't been intended for this, either. If you put value on a high gaming performance, you should take a look at the stronger models from Alienware. A chart of the latest high-performance graphic card can be found following this link on our site. You'll also find detailed information about the ATI Mobility Radeon HD 5470, which has been used our test system. We tested the real time strategy game, World in Conflict, and the still very resource hungry first person shooter, Crysis, on the Inspiron 17R. World in Conflict runs smoothly in the settings low and medium, which changes abruptly in the setting high (DirectX 10). If it was an average of 79 or 37 fps before, the frame rates drop to a modest 17 fps in high settings. A smooth gaming course is only possible in low setting in the first-person shooter, Crysis. Lifting the details to medium already cause the frame rate to drop under the 30fps limit at which the human eye perceives the game play as intermittent. If you would like to find out more about the Mobility Radeon HD 5470's gaming performance, you should definitely take a closer look at the reviews about the Acer Aspire 5740G, the Aspire 7740G or the Asus K52JR-SX059V. Our gaming list of mobile graphic cards also provides information. 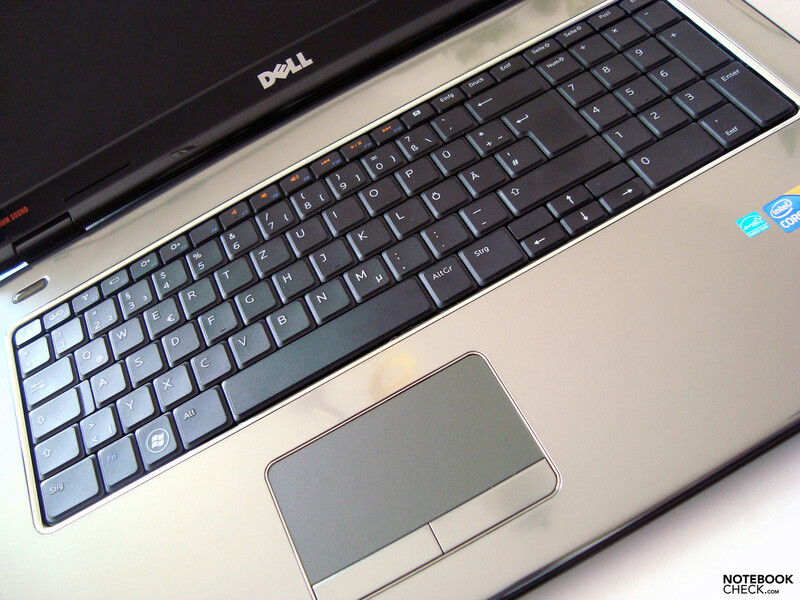 The Inspiron 17R can't exactly be called quiet in view of noise emissions. Our gauge predominantly showed a very good rate with 30.2 dB(A) in idle mode, but the fan turned up periodically. Our measuring instrument reacted and presented us with a considerably louder and audible 35.9 dB(A). The fan noise reaches up to 44.6 dB(A) under load, which we would definitely call loud. The fans may work within a very audible range, but the result is impressive in the end. The upper side reaches a maximum of 41.5 degrees Celsius in the upper left corner in stress situation, which is still very much within a green field. The notebook doesn't exceed 40 degrees in the other areas. The temperatures even seem to be alright on the bottom. Thus, the warmest spot in the central area is even a bit cooler than the upper side with 41 degrees. The other areas also stay fairly cool and below the 40 degree Celsius limit. The base unit's upper side remains almost cool in office mode with temperatures a bit over 30°C. (-) The average temperature of the palmrest area of similar devices was 28.7 °C / 83.7 F (-4.8 °C / -8.6 F). If you look for the loudspeakers in the wrist-rest area or above the keyboard, you'll be looking in vain on the Inspiron 17R because they are in the front area of the base unit's bottom. An integrated sub-woofer built-in ex-factory is supposed to supply more power, especially in the lower ranges. According to the label, an SRS Premium Sound System is concealed underneath the hood, in combination with a Realtek ALC269 @ Intel Ibex Peak PCH - High Definition Audio Controller. The acoustic performance that is ultimately revealed is definitely worth seeing, or better said, worth hearing. The rendered music tracks even stay static-free and clear at maximum volume, without any distortions or overloading. Basses are also well audible due to the sub-woofer, even if it could use a bit more volume. Basically, we can issue a good report for the built-in sound system, especially in comparison to the otherwise common sound systems in notebooks. The Inspiron 17R will likely rather find stationary use as a DTR. Nevertheless, a certain amount of mobility can't hurt. The included 6 cell lithium ion battery has a capacity of 48 Wh (11.1 volts and 4140 mAh). Our test device achieved a rather moderate result of exactly 60 minutes with maximum display brightness and enabled WLAN, under continuous load via BatteryEater in the classic run. The mobile energy donator reached 235 minutes in the BatteryEater Reader's run, with maximum energy savings options, minimum display brightness and disabled communication units. This would still equal up to three hours and 55 minutes. You'll have to look for mains after about 208 minutes (3h:28min) when surfing on the internet in battery mode. The lithium ion battery lasts for a bit more than two hours as a multimedia center used for playing a DVD - 126 minutes to be more precise. Thus, a two hour movie should come to its end with a fully charged battery. The Inspiron 17R in the configuration at hand, with an Intel Core i5 CPU and ATI Mobility Radeon HD 5470 graphic card, has more than sufficient reserves for daily use. Only losses in terms of resolution and detail levels have to be accepted in games for a smooth game play. The Inspiron 17R makes a good and solid impression with minor weakness in terms of fan control and noise, which may possibly be eliminated in the configuration with an integrated GPU. In return you are rewarded with a sound system that has an integrated sub-woofer, which is very suitable for rendering music and movies. 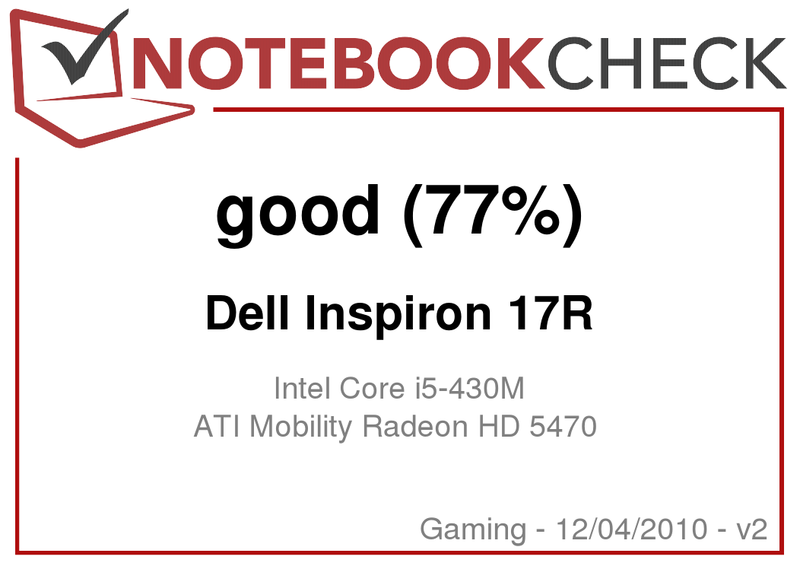 Conclusively, we can give the Inspiron 17R a good rating, even if with weaknesses that demanding users have to get used to. ...but it also has a very good quality sound system with integrated sub-woofer. Mars Black, Tomato Red and Peacock Blue. ...but also has much to offer. ...into the Inspiron 17R range. 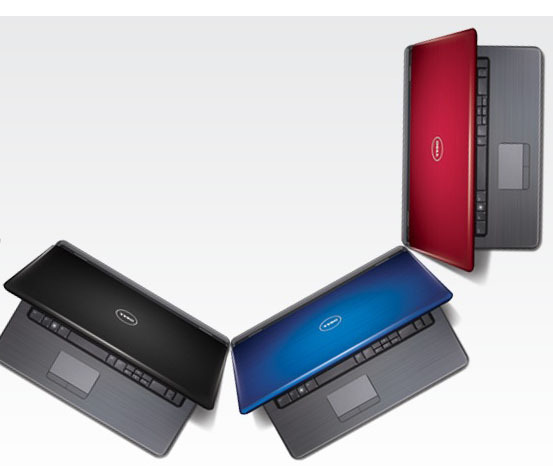 We quite liked the Inspiron 17R's looks, especially with the different colors optionally available. A display with a higher resolution, preferably FullHD, in combination with a BluRay drive would more than just complement the Inspiron 17R. The built-in SRS sound system with integrated sub-woofer is very impressive acoustically. The Acer Aspire 7740G with the same GPU and CPU would be a competitor worth mentioning in the 17 inch division. Or even the Asus K52JR-SX059V. 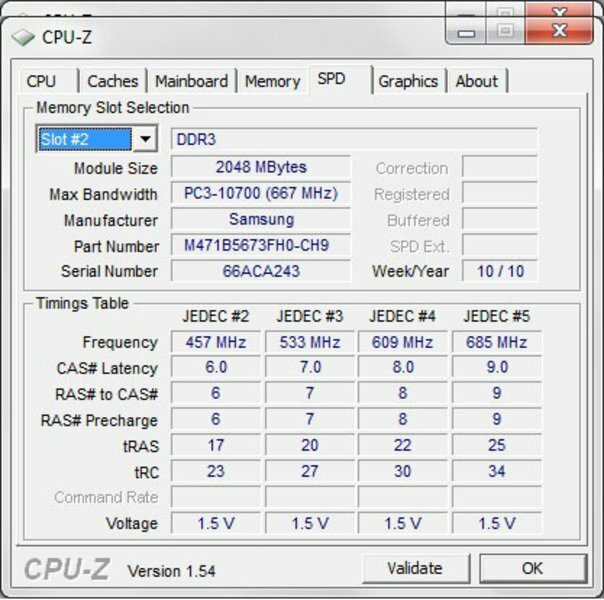 There is the Samsung R525 Eikee NP-R525-JS01DE for AMD fans, but from the 15 inch division.